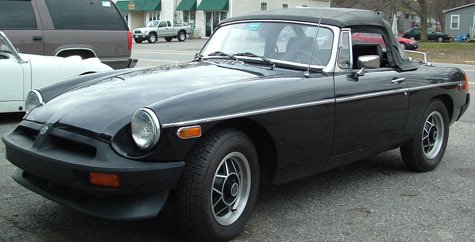 Good & Clean Starter MGB Limited Edition, Alloy L.E. Wheels & Luggage Rack. Repainted and the stripes have not been put back on. Weber downdraft carb upgrade, this car runs real nice. Top has a repairable tear on one side and the lower rear fenders(dog legs) have some bubbles under the paint that needs to be repaired, the rest of the body seems to be in excellent shape.